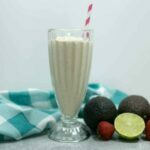 There seems to be a lot of similar recipes being posted lately in the blogosphere. 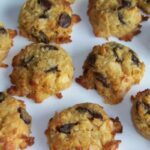 So, to change things up a bit, I thought I’d post some recipes from my heritage. As some of you may or may not know, I come from an American Filipino family. My father is one of the many Filipinos who came to America by joining the United States Navy. Because my mother is very fair skinned with German and Irish roots, a lot of people are surprised when I tell them I am half Filipino. But, I grew up eating Filipino foods as my father was the main cook in the house. 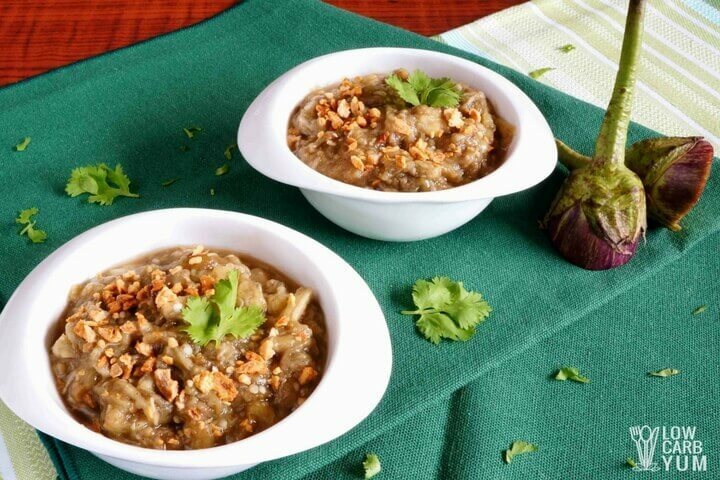 Ensaladang talong is a popular Filipino eggplant salad that’s often served with grilled dishes or beef soup. When made with the soup, the eggplant is boiled in with the soup vegetables and then removed to be used in the salad. 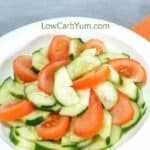 The salad is also known as eggplant ensalata which simply means eggplant salad. And, it’s made with two popular Filipino seasonings: apple cider vinegar and garlic. Another popular Filipino dish, chicken adobo, also uses these flavors. 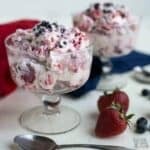 I’m sharing a recipe that come’s from a friend’s mother. 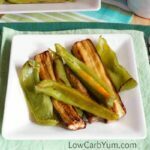 Since you may want to serve it without the soup, the eggplant is baked in foil rather than boiling in with vegetables when making the salad with the beef soup. My favorite part of this ensaladang talong is the toasted garlic on top. 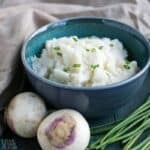 Garlic is one of my favorite flavors and I tend to double or triple the amount called for in recipes. 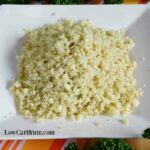 There’s so many health benefits of garlic, there’s no reason to shy away from it. Sure, it may give you bad breath, but there are effective ways to deal with that later like chew on some fennel seeds after your meal. So don’t let the garlic flavor keep you from eating this delicious Filipino eggplant salad. Just have some fennel seeds handy to chew on after. I got the tip for fighting off garlic breath after I shared my recipe for Filipino sinangag which is a garlic heavy fried rice. 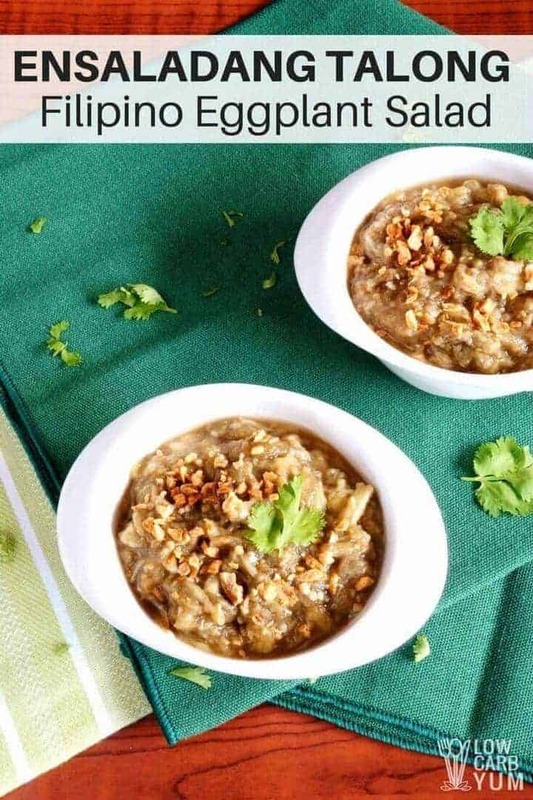 Filipinos often eat the dish for breakfast so you want to make sure you get rid of the bad breath before chatting with your coworkers. If you want another great way to serve up eggplant Filipino style, check out the recipe for eggplant burgers! If you want a new way to serve eggplant, try it as a salad. 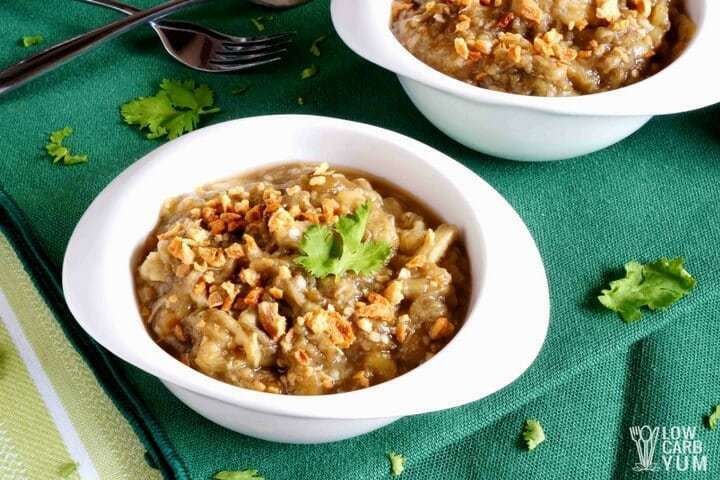 This Filipino eggplant salad is often served with beef soup or grilled dishes. Properly wash eggplant with cold running water. Pat dry. Slice into half to open eggplant and cut into 1 to 2 inches in length (to cook faster). Using a baking sheet, place foil and lay eggplant pieces, skin down. Season with salt and pepper. Let it stand for 15 minutes. Wrap in foil. 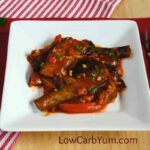 Cook eggplant in preheated oven at 400° F for 10 to 15 minutes or until soft. Allow to cool for 10 to 15 minutes. Once cooled, peel off skin then separate eggplant into slivers with fork. 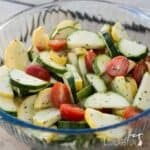 Sprinkle onion and garlic powder then combine together. Pour apple cider vinegar and vinegar. Mix well. Transfer to a serving bowl and top with minced garlic and wansoy. 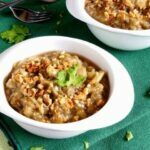 Eggplant salad (ensalata) is typically served as a side dish for Filipino Nilagang Baka (Beef Soup) and grilled dishes. 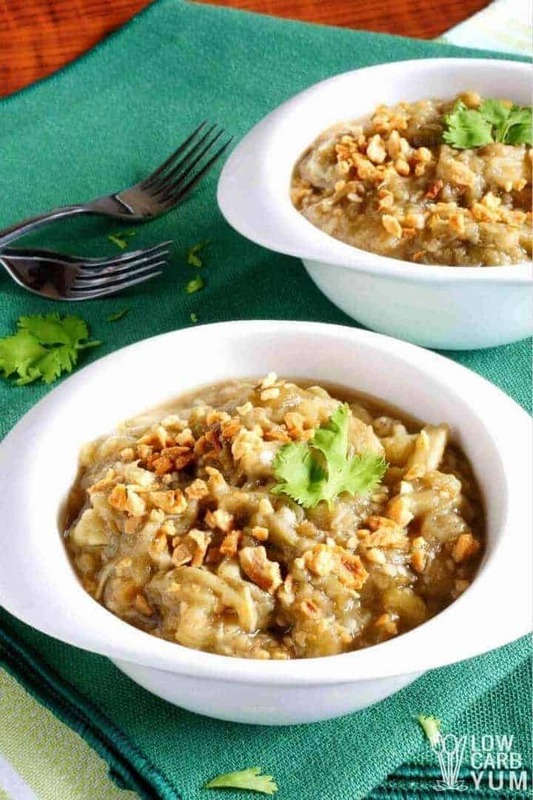 If making with Nilagang Baka, the eggplant can be boiled in with the vegetables instead of baking in foil.